If We Have The Will, We Can Make It Happen! 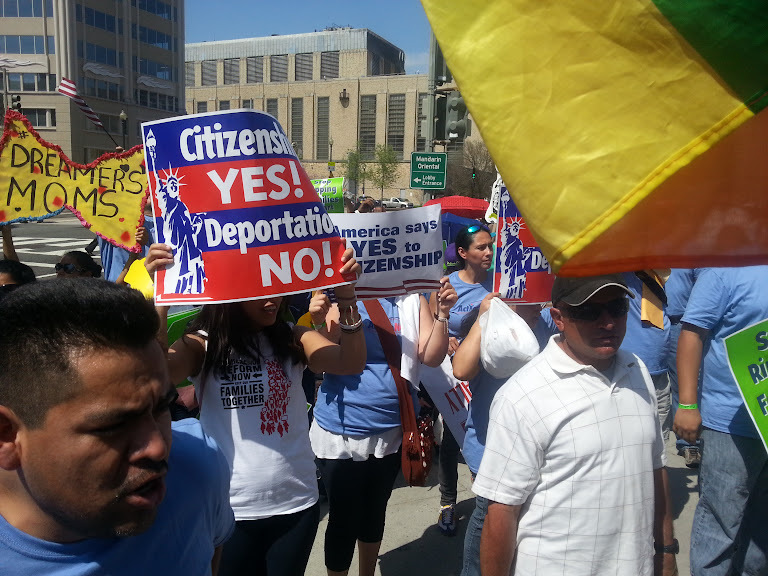 The year 2013 was an emotional rollercoaster ride for the 11 million undocumented immigrants living in the United States. When the U.S. Senate approved their version of a comprehensive immigration reform bill, many believed that we would finally see a solution to our broken immigration system. In the fall, the enthusiasm plunged, when republicans in the House said they would not approve any bill that would include a pathway to citizenship. Then, we were happy again, when democrats presented their own bill which was supported by 3 republicans. Earlier this month, the White House issued a number of recommendations to help public schools reduce racial disparities in disciplinary procedures. Specifically, the White House is urging schools to reduce their use of suspensions and expulsions and move away from “zero- tolerance” policies, which have been proven to increase drop-out rates and needlessly increase the number of students who enter the criminal justice system. While these federal recommendations are welcome, the real decision-making and action must happen at the state and local levels. Please join us on Saturday, January 11th, from 10AM – 4PM in Charlotte, to learn about how you can find a plan that is right for you in the new Health Insurance Marketplace. FREE Enrollment assistance will be provided. Presidents don’t declare war lightly. And yet 50 years ago today, President Lyndon B. Johnson stood in front of a joint session of Congress and called on our nation to launch an “unconditional war on poverty,” a national commitment to make life better for so many who were struggling. He followed this declaration with dozens of bills in the next few months, almost all eventually approved by Congress, and signed into law. The results were programs now familiar to Americans, like Medicare, Medicaid, Head Start, Pell Grants, expansions to Social Security and nutrition assistance. Today, some policymakers will claim that we have lost that war, as our nation still struggles with a 46.5 million people under the federal poverty line. But the war on poverty hasn’t failed - our economy has failed. In fact, a new study from Columbia University shows that when safety net programs are taken into account it helped our nation reduce poverty from a rate of 26 percent in 1967, shortly after President Johnson’s announcement, to 16 percent in 2012. One of the biggest differences between then and now is the structure of our economy. In the decades after World War II, the gains of our economic growth were shared across a broad spectrum of incomes. And, for those who still struggled, a safety net of programs was there to support them until they could get themselves back on their feet. Starting in the 1970s, long-term changes in the economy including reduced manufacturing jobs, weakened unions, and reduced investment in skills training contributed to widening inequality and more poverty. Today, we face some of the highest rates of income inequality since the 1920’s and too many sectors of employment with stagnant wages that don’t pay enough for families to make ends meet. I recently met Willietta Dukes, a mother of two and fast-food employee in Durham, North Carolina. Willietta makes $7.85 at Burger King, despite 16 years of experience in the fast-food industry. In August, tired of struggling to get by, she walked off her job, just a month after losing her home because she could no longer afford rent payments. Despite working hard for as many hours as she gets from Burger King, Willietta is forced to rely on food stamps just to make ends meet. Willietta is not alone. Research released this week finds that more than half – 52% – of fast-food workers nationwide are paid so little that the public needs to provide assistance to make sure workers can afford basic, everyday needs. In other words, fast-food employees are twice as likely as other workers to be forced to rely on programs like the Supplemental Nutritional Assistance Program (food stamps) or Medicaid. These low wages paid by fast-food companies cost Americans close to an astonishing $7 billion annually, according to the report. In North Carolina alone, 54% of fast-food employees are forced to rely on public assistance to survive, costing NC taxpayers $264 million annually.